When Vice Admiral William F. Halsey entered Pearl Harbor one day after the calamitous Japanese raid, the stench of smoke from oil fires and dead bodies filled the air. From the bridge of the aircraft carrier Enterprise, Halsey viewed the debacle that greeted his eyes and shook his head. It was the most depressing sight he had ever seen in his entire naval career. As his task force passed through the narrow mouth of Pearl Harbor, every man in every ship afloat in the harbor stood in hushed silence. Exhausted soldiers kept vigil next to antiaircraft guns along the shore near Hickam Field.  A thick pall of smoke lay over everything, and a black oil slick covered the water�s surface. The heavily damaged battleship, Nevada, was beached off Waipio Point. She had tried to escape, but couldn�t make it out to sea, so her captain had beached her to stop her from blocking the main harbor�s narrow channel. The Enterprise approached Ford Island in the gathering dusk. The acrid odor of burnt flesh filled the air, nauseating the ship�s company. Men on the deck saw the line of wrecks strung out along Battleship Row. The California�s superstructure barely broke above the water line, and the capsized Oklahoma lay on her side like a beached whale. Only her hull�s bottom appeared above the water. The West Virginia was a scorched hulk. The Arizona�s mast was barely visible above the water�s surface as thick, black smoke billowed from the water where she had once floated majestically in the warm Hawaiian sun. The Arizona�s water-covered hull had trapped and entombed more than one thousand souls below deck when she sank, wracked by numerous explosions. The excitable, volatile Admiral vented his hatred for the Japanese throughout the war. The idea of destroying the Japanese nation filled his days and nights, and his habit of expressing these potent feelings publicly prompted the press to call him �Bull� Halsey. Halsey was born on October 30, 1882, in Elizabeth, New Jersey, and came from a long line of seafaring men. One was Captain John Halsey, who had commanded a privateer which had attacked French shipping under a Massachusetts governor�s commission during Queen Anne�s War. Another Halsey ancestor was Captain Eliphalet Halsey. He was one of the first to sail a Long Island whaler around Cape Horn into the South Pacific. Many Halseys would succeed him, too, as whaling masters who followed the same course. Halsey�s father attended the Naval Academy and graduated in 1873. He served in the South Pacific where his antecedents had hunted whales. His son, in his time, would see glory in the Pacific. Halsey�s interest in naval aviation was stimulated when the Naval Academy received its first naval air detachment. During the time he commanded the seaplane tender, Reina, at Annapolis, he became convinced the airplane would replace the battleship as the primary weapon of modern navies. His enthusiasm for naval aviation grew as he flew with pilots under his command. In 1930, he was invited to Pensacola, Florida, for a flight training course. Later, he received his wings. He never became a full-time naval aviator, however, because his eyesight was substandard for a pilot. Yet he remained intensely involved in naval aviation throughout his career. Halsey became a firm believer in the aircraft carrier as the primary naval offensive weapon system. 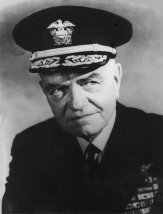 When he testified at Admiral Kimmel�s hearing after the Pearl Harbor debacle, he stated that the Americans had to �get to the other fellow with everything you have as fast as you can and to dump it on him.� Halsey testified he would never hesitate to use the carrier as an offensive weapon. Its original role as the protector of battleships and heavy cruisers was obsolete. Now, the battleships and cruisers would protect the carriers. This became the primary naval strategy for the United States Navy in the Pacific. The Japanese had shown that the carrier was indeed a powerful offensive naval weapon, and the Americans soon would use it with great success against their enemy. William F. Halsey achieved great fame during the early days of World War II. By leading the early raids on the Japanese-held islands, and by commanding the task force that transported Lieutenant Colonel James F. Doolittle�s B-25 bombers to a point 824 miles west of Tokyo. It was here that Doolittle�s bombers took off from the carrier Hornet�s flight deck for their historic raid to bomb Tokyo, Yokohama, Nagoya, Osaka, and Kobe on the Japanese Home Island of Honshu. Halsey would have commanded the aircraft carriers that lay in wait for the Japanese at Midway had he not contracted a serious skin disease. Some naval historians are of the opinion, however, that Halsey�s absence from the Midway ambush was one of the major reasons the Americans emerged victorious at what Winston Churchill called the turning point in the Pacific War. Later, when times for the Marines on Guadacanal and for the sailors in the South Pacific became extremely difficult, Halsey took over for Vice-Admiral Robert L. Ghormley in October 1942. His presence was like a �shot in the arm.� One officer made a telling comment about Halsey�s style at that time: �One minute we were too limp to crawl out of our foxholes. The next we were running around and whooping like kids.� He had the ability to inspire the men under his command to great feats of valor and victory. No price can be set on such a gift when it is used in the service of a worthy cause. But, at the Battle of Leyte Gulf, Halsey played a controversial role. He commanded the Third Fleet, the most powerful group of warships ever assembled. The sailors in it were among America�s finest. His decisions determined the fate of many a brave American sailor, and the decisions he made generated one of the greatest controversies ever to confront the United States Navy. Because of his mixture of human strengths and frailties, this spirited man remains in the annals of naval history an extremely intriguing figure.